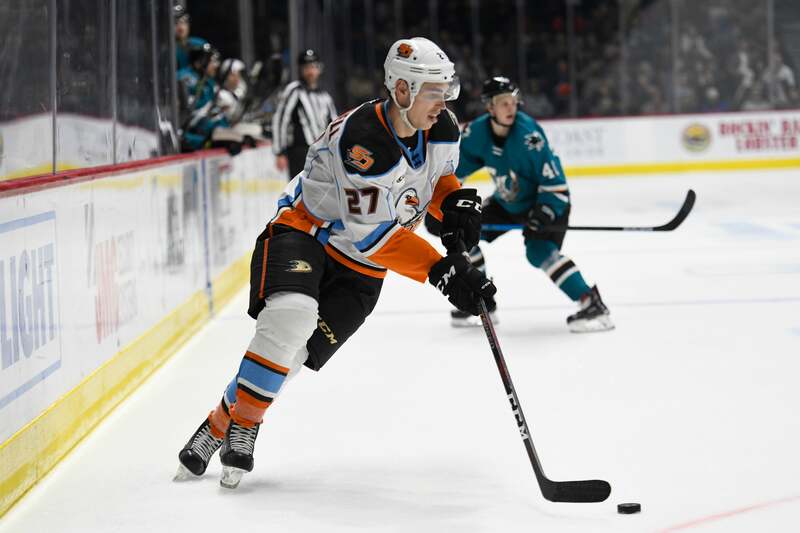 San Diego closes a four-game homestand as Juuso Valimaki scores with 13 seconds remaining to seal a 2-1 win for Stockton at Pechanga Arena San Diego. 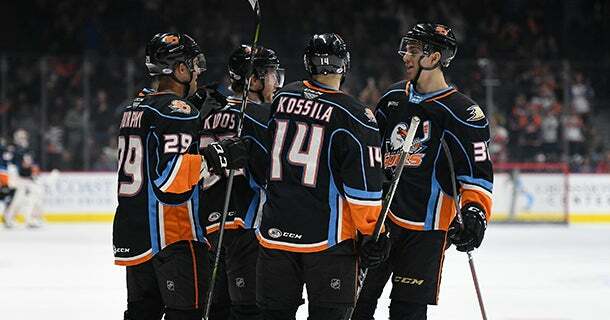 Tonight marks the third game of a four-game homestand for San Diego, including three games in a span of four days. 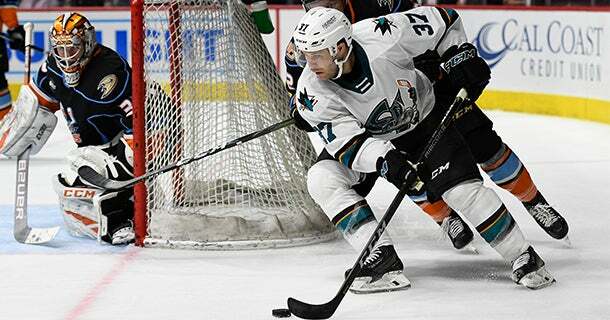 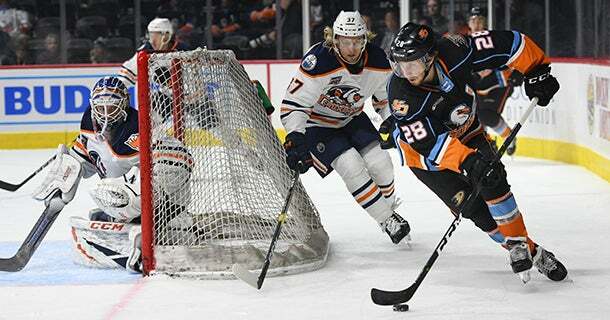 Dostie has recorded 2-2=4 points with six penalty minutes (PIM) in 35 games with the Gulls this season. 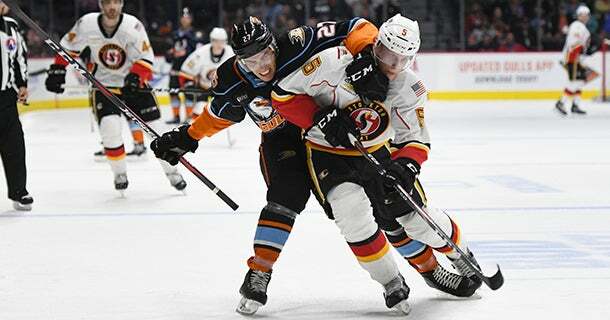 San Jose's Alexander True nets a power play goal with under five minutes in regulation to give the Barracuda a 3-2 win at Pechanga Arena San Diego. 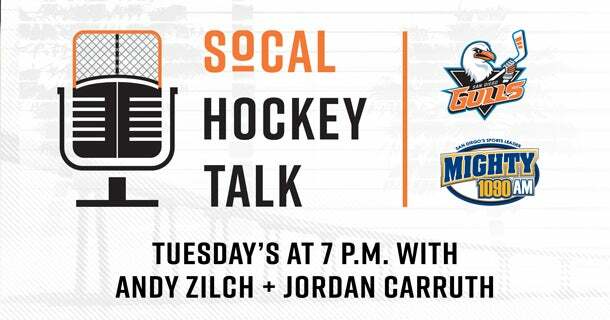 One-hour SoCal Hockey Talk to air live on The Mighty 1090 every Tuesday from 7-8 p.m. with co-hosts Andy Zilch and Jordan Carruth. 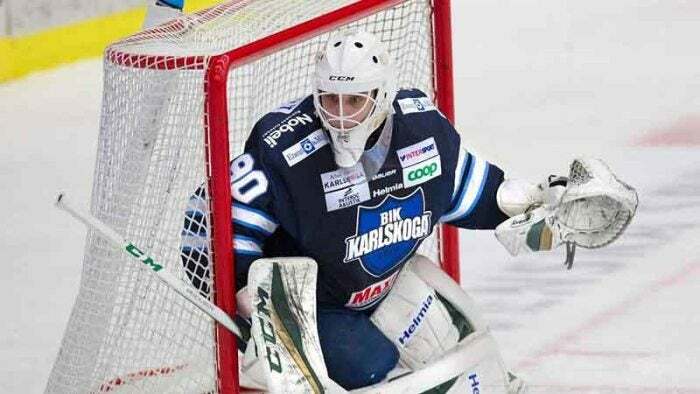 Eriksson Ek spent this season with BIK Karlskoga, posting a 7-8-1 record with a 2.77 goals-against average (GAA) and .901 save percentage (SV%) in 16 Swedish Allsvenskan league games, the second highest league in the Swedish system. 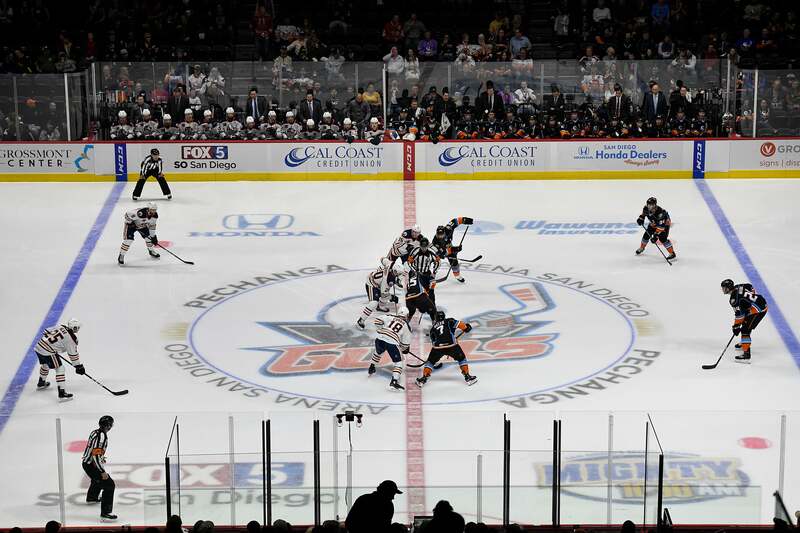 San Diego opened a four-game homestand with a 5-4 shootout win over the Ontario Reign at Pechanga Arena. 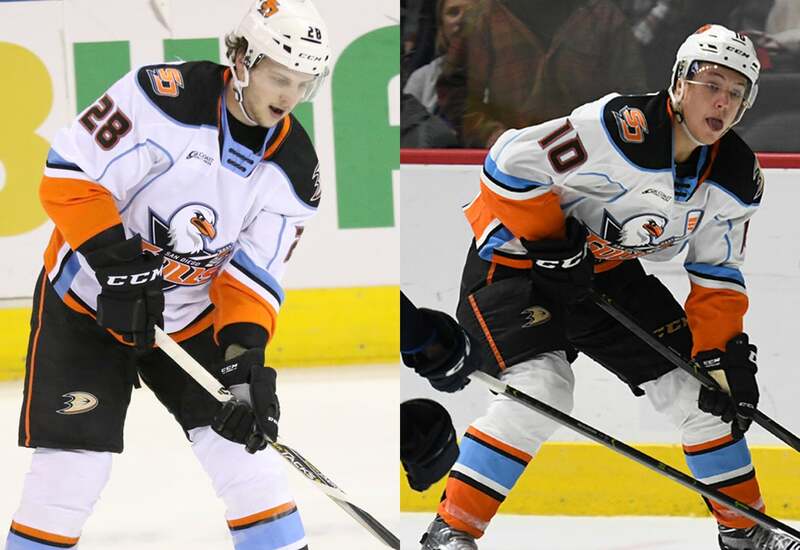 Kalle Kossila and Justin Kloos each scored shootout wins to seal the win and extend San Diego’s point streak to four games (3-0-1-0). 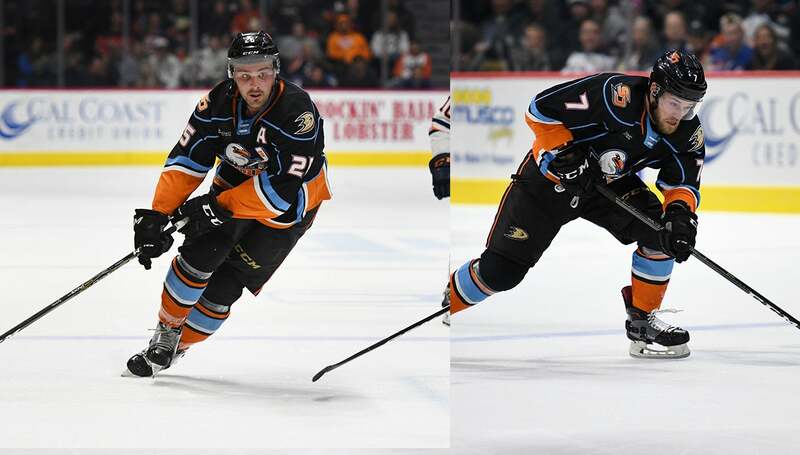 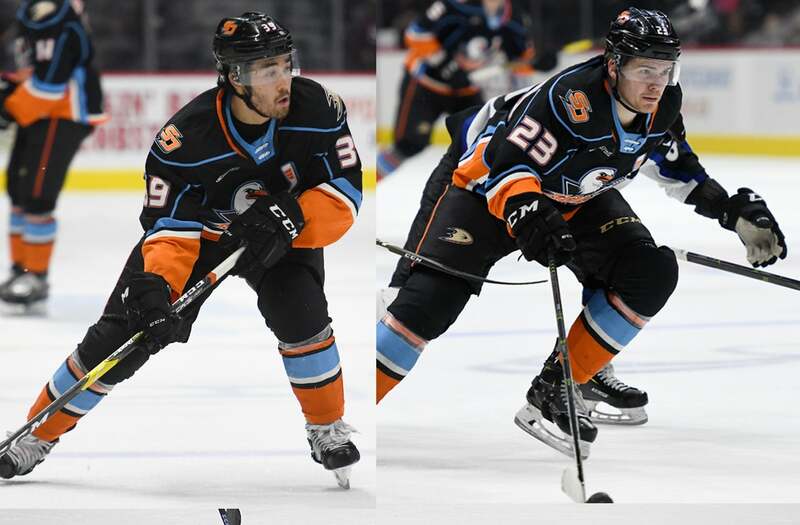 Gulls and Reign meet for 11th time this season tonight at Pechanga Arena San Diego at 7 p.m. in a game live on FOX 5 San Diego.